We had an excellent time with Blue Cruise. Many thanks. 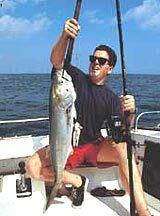 An outstanding trip with an excellent yacht and crew. Enjoyed doing business with you and have a good year. Greetings from a cold Melbourne. 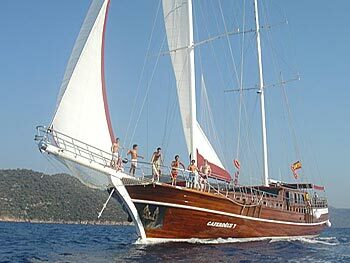 She is a superior class 36 meters long, meticulously refurbished deluxe gulet with eleven cabins. Each cabin has individual air conditioning controls. She also has a forward seating area for evening cocktails and snacks. Crew number is 5 + captain. If you want to enjoy fully of sailing , this yacht is one of the best choosing. This Gulet is the only 11 cabin Super Luxury category gulet in Turkey, making her perfect for celebrations, events and business meetings. With its 36 m Teak-Deck, luxurious interior decoration with an american bar and numerous cushioned chairs is the M/S CAFEROGLU is a very comfortable boat. The speed of driving is approximately 9 knots when the ship is powered by the engine and about 6-8 knots under sails. Each cabin has a large private bath with enclosed shower area and plenty of hot water. Indoor and outdoor dining facilities, with a spacious salon. The yacht comes equipped with surf boards & canoes. On M/S CAFEROGLU 7 you will be served Turkish cuisine at its best. Crew: 5 (captain, chef, 3 sailors) in separate cabins. Languages: English, Turkish.